Our largest client base is farmers. For over 25 years Rob has been helping farmers and their families in and around the Chatham area. We understand that as a farmer, you have different needs than most. With the prices of land and the ever changing face of agriculture, we know what challenges today’s farmers are facing. We also appreciate the close relations that farms and families often share. How can I hand my farm down to one child but also be fair to the rest of the family? I want to be retired but still hold on to the farm. How am I able to do both? How can I protect my farm in case I get sick? 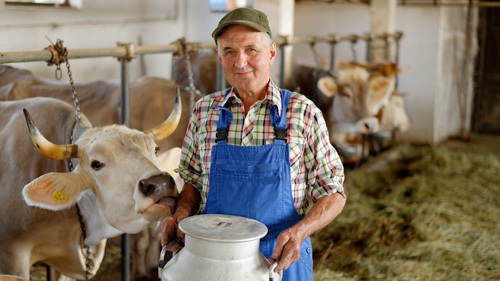 How can I protect my farm in case I become disabled? How can I insure my mortgage on my farm? How much is my farm worth and how do I start pulling some if the assets from it? How can I give more money to my children rather than Revenue Canada in the event of my death? Just as crops, every farm and every family have different needs. Those needs are best determined by understanding not only the financials, but also by understanding your family dynamic. We meet our agricultural clients where they are most comfortable….on their farms. Whether it’s Rob checking out the new machinery, (he loves anything with an engine) or walking the fields that are your bread and butter, we look forward to meeting your living, breathing business. Our outdoor office is our favourite one, and yours wouldn’t be the first tailgate we signed papers on.